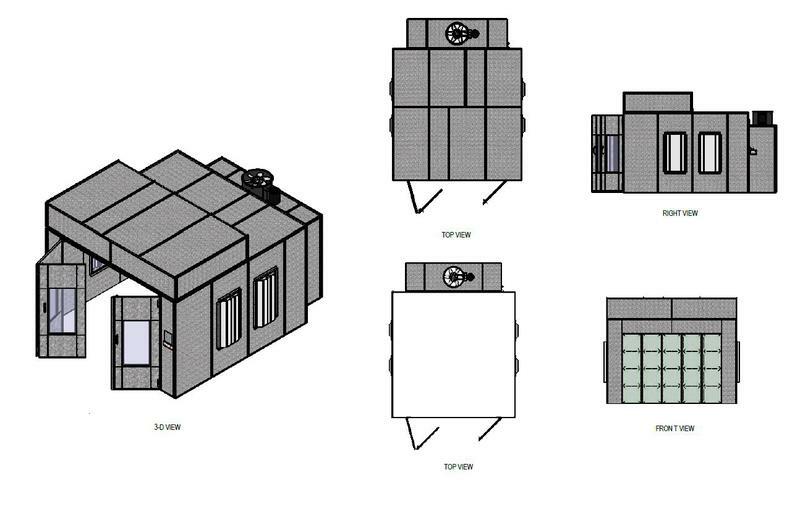 Before the installation of your spray booth, you must file proposed design drawings and application with NYCDOB, showing compliance with all applicable NYCDOB requirements for the installation of a spray booth, either from the Construction, Mechanical, Electrical, Plumbing (fire suppression system) and Energy Codes. If your spray booth utilizes flammable or combustible materials, you need also to show compliance with related FDNY requirements and, once a NYCDOB work permit has been issued, submit an application to FDNY. Once approved by both NYCDOB and FDNY, the spray booth can be installed and, upon completion of Special and Final inspections, it can legally operates. 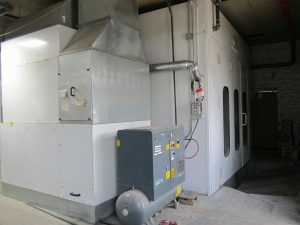 Modifications of the operating conditions of the spray booth might trigger subsequent filing with the NYCDOB and/or FDNY. For your spray booth to be lawfully operational, you must also obtain Air Permit/Registration, from both NYCDEP and NYSDEC. Please note that any NYCDEP Permit is specific for each equipment generating emissions, either in atmosphere or internally vented, (please see also our blog on NYCDEP Air Permitting) while the NYSDEC Permit/Registration is related to your entire facility. Therefore, if you have on site multiple equipment (e.g. boilers/water heaters, generators, etc.…) you need to get a single Air Permit/Registration from each emission source from NYCDEP and only one NYSDEC Air Facility Registration/Permit including all emission sources. If equipment goes under substantial modifications an Amendment Application might need to be filed with both NYCDEP/NYSDEC. What if I am already operating a spray booth/room? That is ok. You can still be in compliance and avoid any violations and penalties as long as you legalize ASAP your equipment with NYCDOB/FDNY/NYCDEP/NYSDEC. Walden has over 20 years of experience in assisting client in all steps to obtain NYCDOB/FDNY/NYCDEP/NYSDEC Permits for spray booths and many other equipment (wood working, metal processing, boiler, generators and combustion equipment). Contact Walden at (516)-624-7200 (NYC/Long Island), (845)-745-0888 (Hudson Valley Area), or (518)-698-3012 (Capital District Area) for a free consultation to discuss any issue related to your spray booth or any of the other engineering and environmental services you might need at your facility.